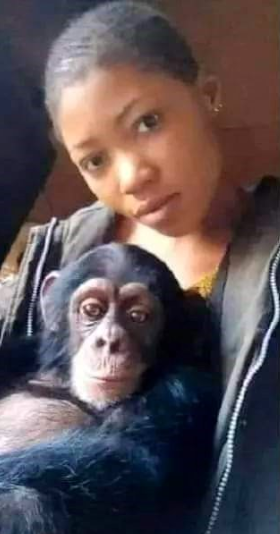 We don’t know her nationality, but the pictures are making the rounds on Facebook. 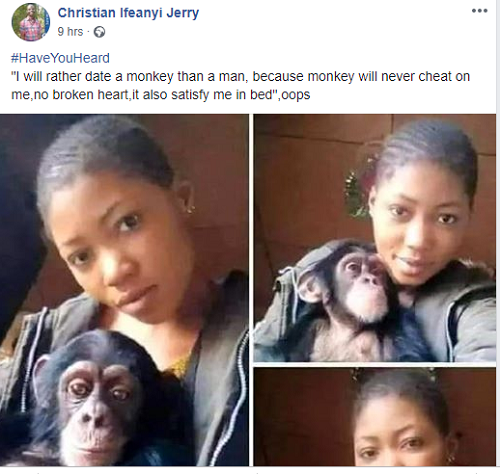 She says she will rather date a monkey because they bring no heartbreaks and can make love to her in bed as well. Well you have heard it all! lol. Hopefully the monkey can give you money and take care of your financial needs too!